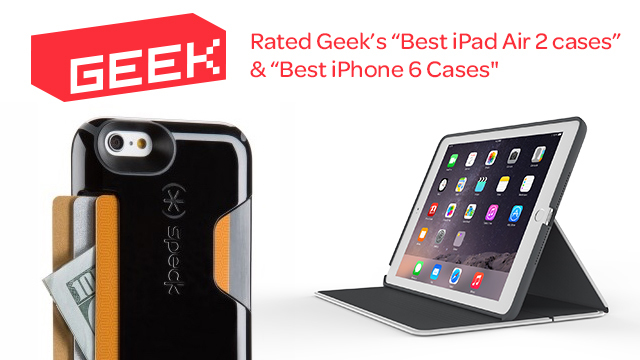 Geek.com just unveiled their top lists for Best iPad Air 2 Cases and Best iPhone 6 Wallet Cases, and that’s right, Speck made the top of both lists. Check out what they had to say about our DuraFolio for iPad Air 2 and our CandyShell Card for iPhone 6. From Geek’s “Best iPad Air 2 Cases,” shop DuraFolio for iPad Air 2 today. From Geek’s “Best iPhone 6 Wallet Cases,” shop CandyShell Card for iPhone 6 today.